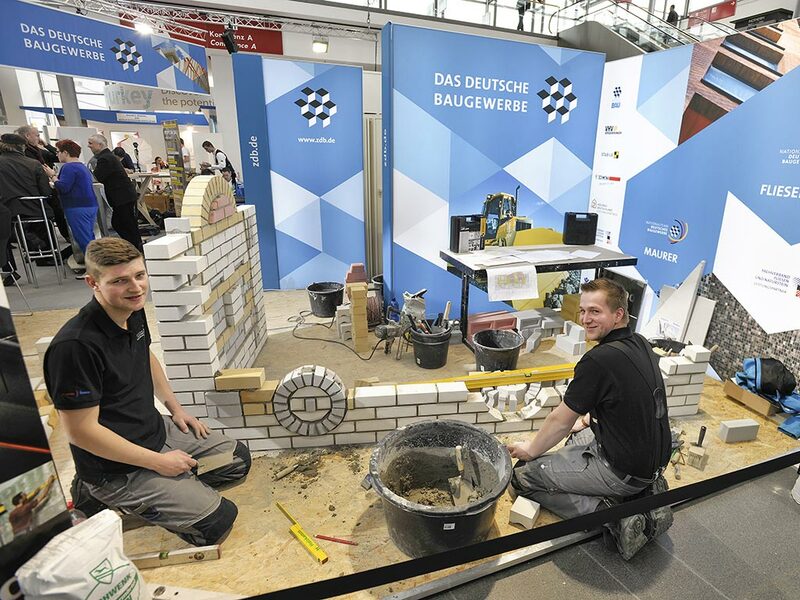 Tradesmen meet—For years, BAU, the World’s Leading Trade Fair for Architecture, Materials and Systems has been uniting its specific offers for tradesmen under this banner. In 2017, once again tradesmen in all trades and sectors of the industry will find what their heart desires. “Insulating according to schedule?”—On January 17, association representatives, skilled tradesmen and planners will examine the possible consequences of air-tightness in modern buildings and insufficient ventilation. “Building in 2017: Has quality become unaffordable?”—That is the topic on Wednesday, January 18. How can skilled trade companies still manage to build high-quality buildings without claiming bankruptcy? “Is BIM really magic?”—BIM is on everyone’ lips and is widely viewed as a cure-all for processes in construction. What influence does BIM have on bidding processes, and can everyone involved in construction really profit from it? That is what experts will discuss on January 19. “Integration: A solution to recruitment problems in construction?” Finding young talent for the construction industry is difficult. On Friday, January 20, we will use successful examples to show how integration can work, what issues and problems can arise and what needs to be taken into account in actual practice. The discussion will be moderated by Martin Mansel, Editor in Chief, “Malerblatt”, Hans Graffé, Editior in Chief of “dds” and Klaus Siegele, architect and journalist. BAU visitors can already look forward to watch the training camp of the German Building Professionals national team. The best young talents of different trades demonstrate their skills in various disciplines and train for the upcoming “World Skills” vocational competition in Abu Dhabi. The national team includes the best German brick layers, tilers, plasterers, and carpenters. Team members have qualified through the German championships, and contests. A preliminary World Cup squad will train at BAU 2017. Team members are practising the skills of their trade, required in the international vocational competition. Brick layers, for instance, will build walls using various bricks to create different patterns. Tilers will combine tiles on walls and floors creating sophisticated geometrical designs. Plasterers will install drywall constructions, i.a. including stucco elements. Carpenters will build a timber construction with roof truss. Already for the third time the national team trains at BAU. In the years 2013 and 2015, Munich was the place to lay the foundation for world championship titles. Master tiler Björn Bohmfalk and master plasterer Andreas Schenk collected a gold medal in the 2013 WorldSkills competition in Leipzig. In 2015, carpenter Simon Rehm became world champion in Sao Paulo. 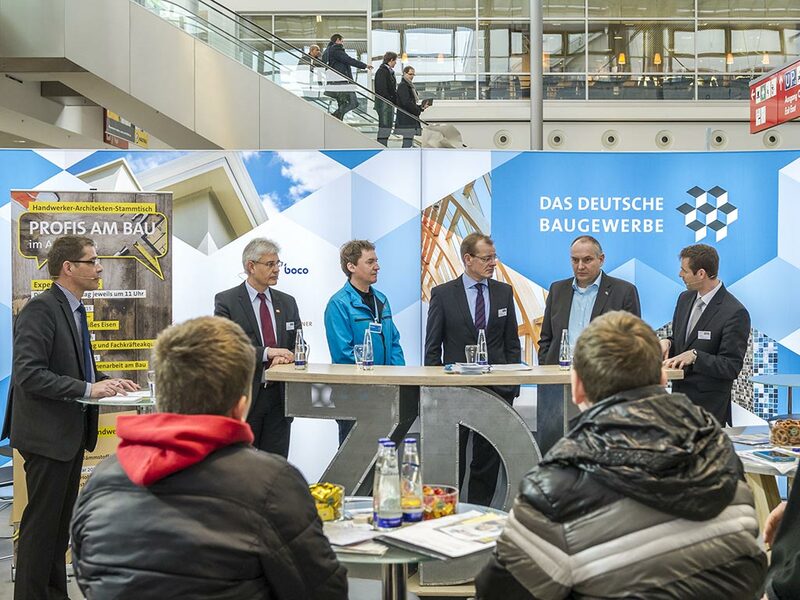 The training camp for tradesmen has been organised by ZDB, Association for German Building Professionals. Although BAU is the the World’s Leading Trade Fair for Architecture, the building and renovation trade is at its core. Almost 40 percent of the visitors are from the construction industry. From roofers to tilers, all sectors are represented. Please check the respective website for further information on Tradesmen Meet.